Home by the Sea. Take a walk on the nearby sandy beach. outdoor play park. The Caravan is a perfect choice for a family of six. its heated throughout with a comfortable lounge area plus TV with Freeview and Netflix. The kitchen has everything you need for whipping up a great meal. 1 double and 1 twin plus sleeping for 2 in the lounge. TV in double room with freeview and Netflix. free view and Netflix in both rooms. We had a lovely week away on the north east coast for Feb half-term. Very cosy caravan and loved waking up to the beautiful sight of the sea and lots of sunshine almost every day. Lots of places to see and visit - Crimdon Beach, Blackwall Rocks, Seaham, Hartlepool Marina, Roker & Seaburn, Sunderland, Saltburn and lots more! Would highly recommended a tasty curry at Poppadoms in Hartlepool Marina and also lunch at Crow's Nest in Seaham. Really enjoyed ourselves and will be visiting again soon! 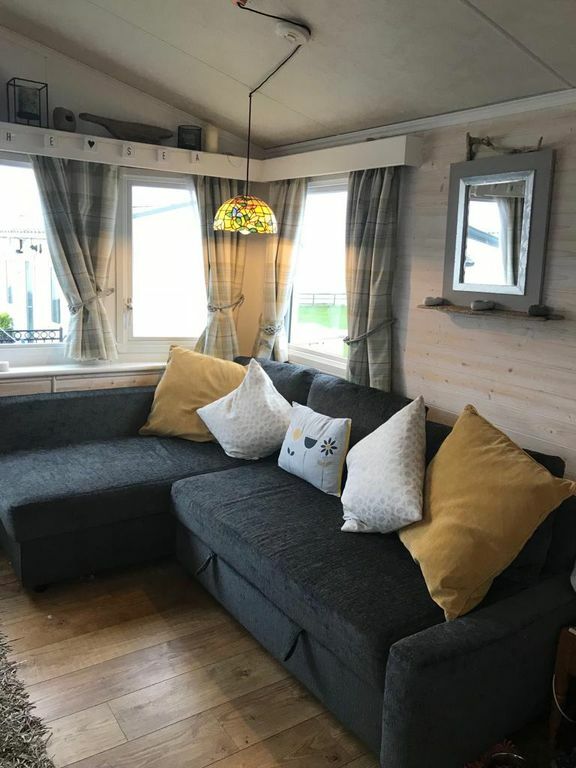 Really cosy, well equipped caravan with excellent view of the sea. Lovely owners who were very helpful. Would recommend. Location wise, this caravan couldn't be better placed, overlooking the sea. It is very well kept and has all the amenities that you might need. The caravan site was pretty quiet, although I imagine it gets very busy during peak season. The owner is really easy going and flexible, meaning that we had a really relaxing few days there.